We were asked if we wanted a drink in the bar but we decided to sit at our table right away. 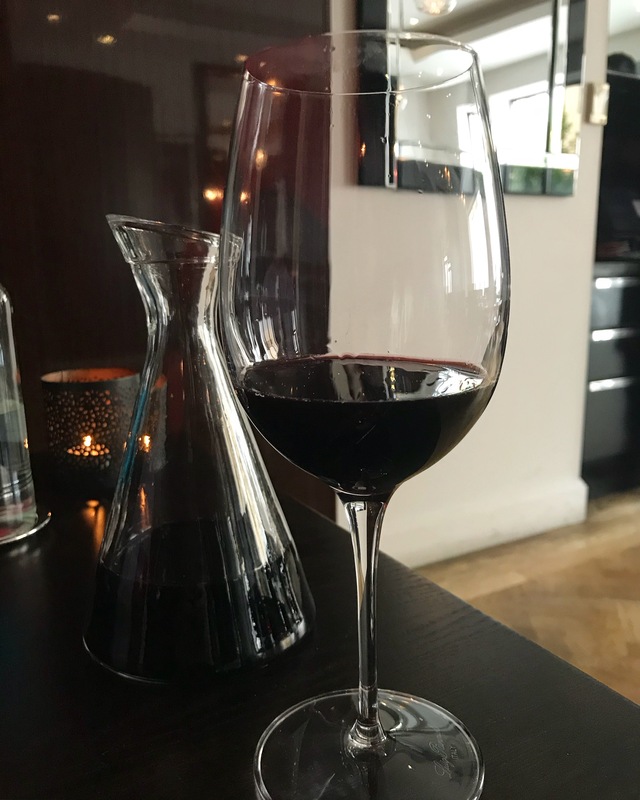 We ordered a California Syrah in a 500ml carafe but there are many options by the glass, carafe (250ml or 500ml) or entire bottle. The knowledgeable sommeliers are there to help make any pairing recommendations. 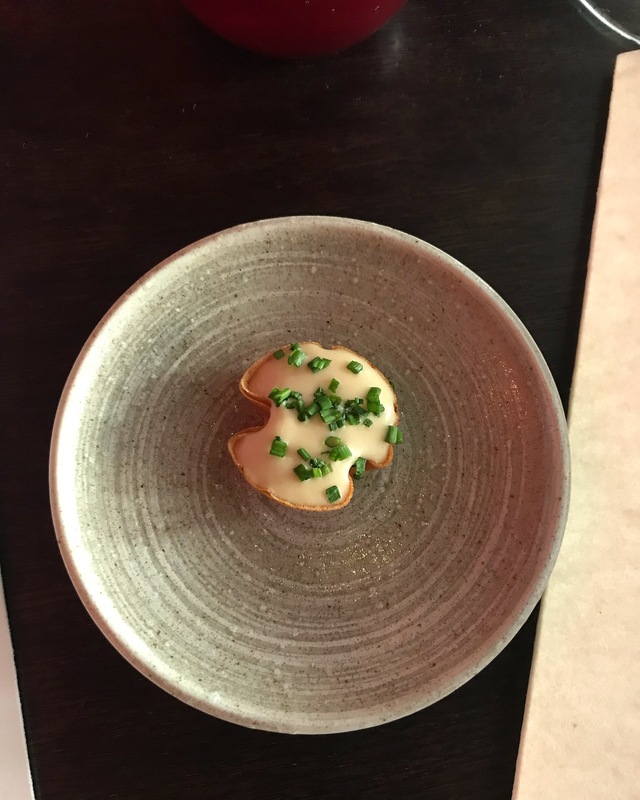 Our culinary experience started with a delightful canapé to whet our appetites, a tiny but perfectly formed rarebit and chive tart. 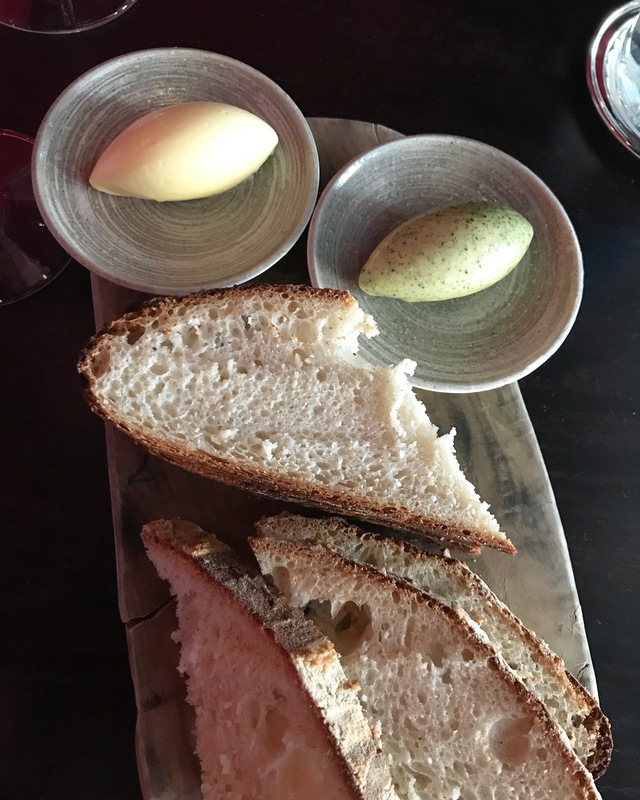 The remarkable seaweed butter that accompanied the fresh bread was redolent of the sea. 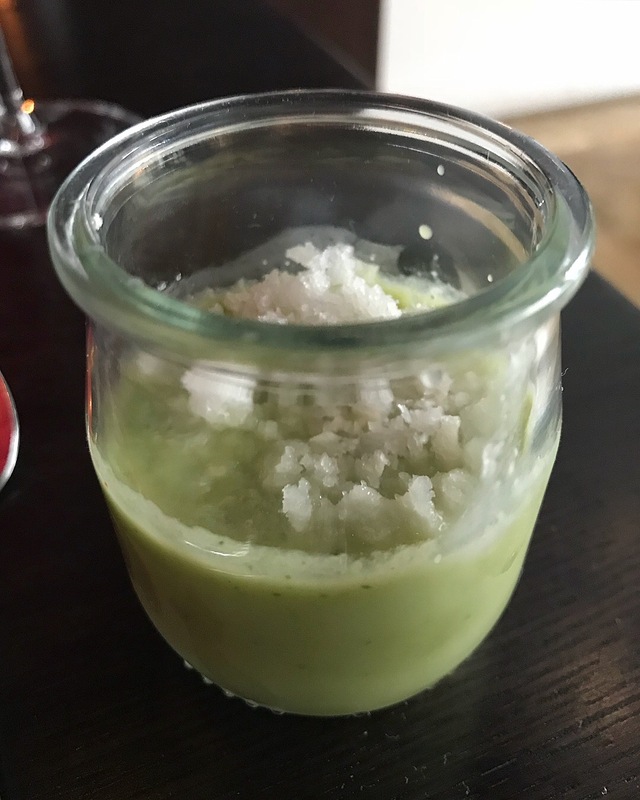 Acting as a palate cleanser, a refreshing amuse bouche of cucumber gazpacho with horseradish granita was served. 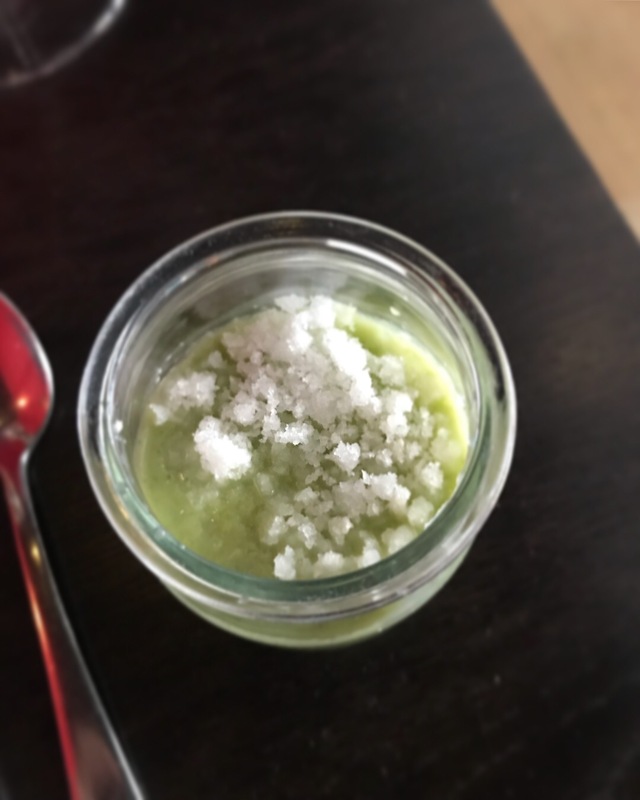 My starter of langoustine, crab, avocado and dashi was fresh, gorgeous and delicious. 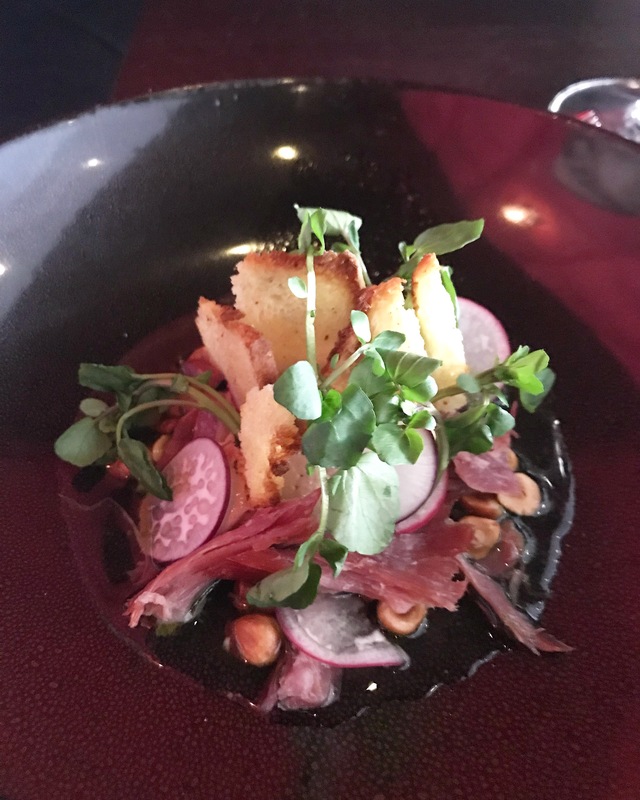 Paulo’s starter of smoked ham hock, chicken liver and watercress came with a jug of tasty broth which the waiter poured at the table. The watercress didn’t add anything to the dish other than a decorative touch to contrast all the brown ingredients so it was left aside. 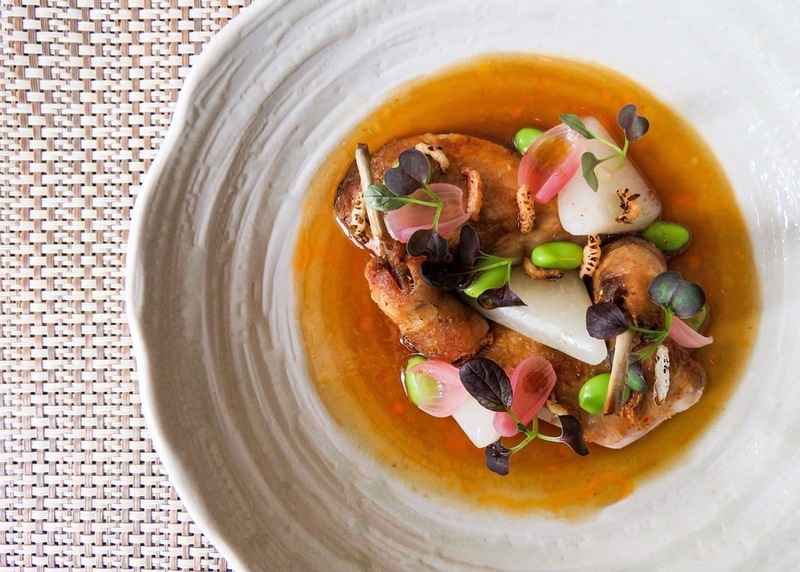 We enjoyed an additional starter of quail, kohlrabi, onion and Thai tea, which was presented to us by Samira herself whilst she poured the tea over the dish. 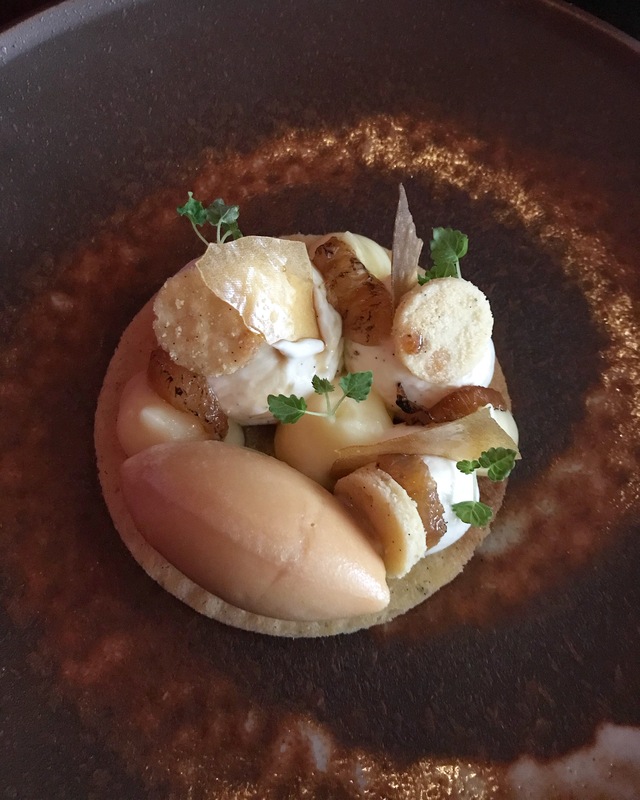 It was so nice to meet the talented chef in person I forgot to capture the dish but it did look like the photo below. Having tasted Hannan Meats on a trip to Belfast, we both took advantage of enjoying their high quality beef right here in Cambridge. 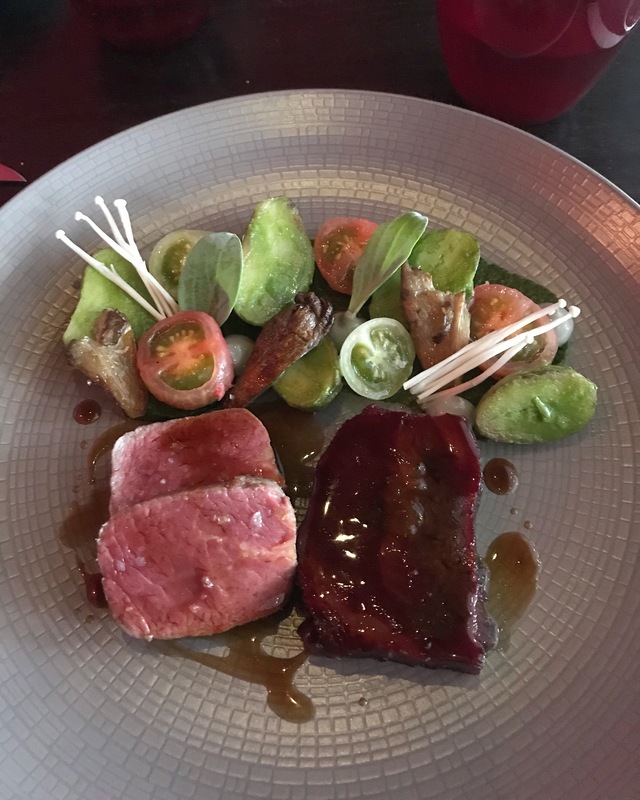 Our main course of Hannan 80-day aged beef, featuring beautifully tender sirloin and cheek, was accompanied by salad, tomatoes, mushrooms, jersey royals and salsa verde. The charcoal flavour described on the menu was subtle and I suspect it was in the jus. 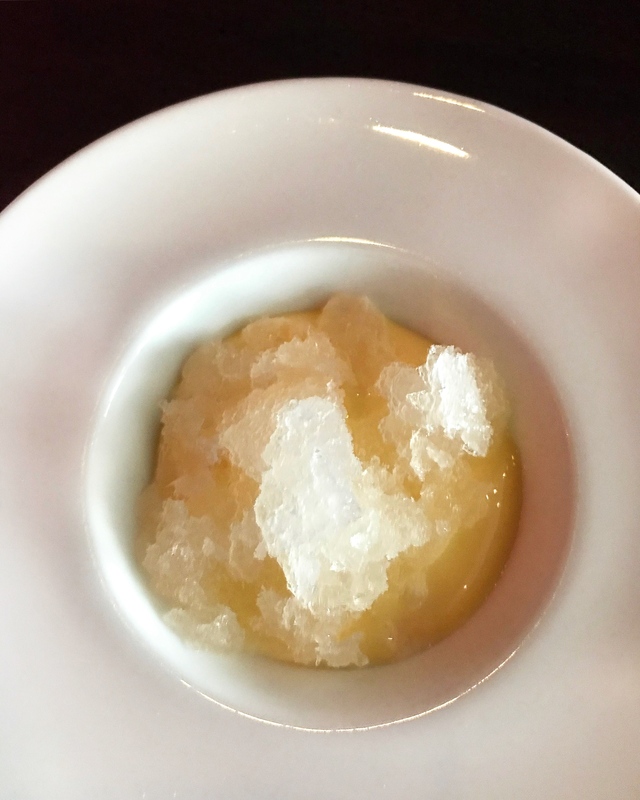 A pre-dessert of elderflower curd with prosecco granita was another delightful palate cleanser. 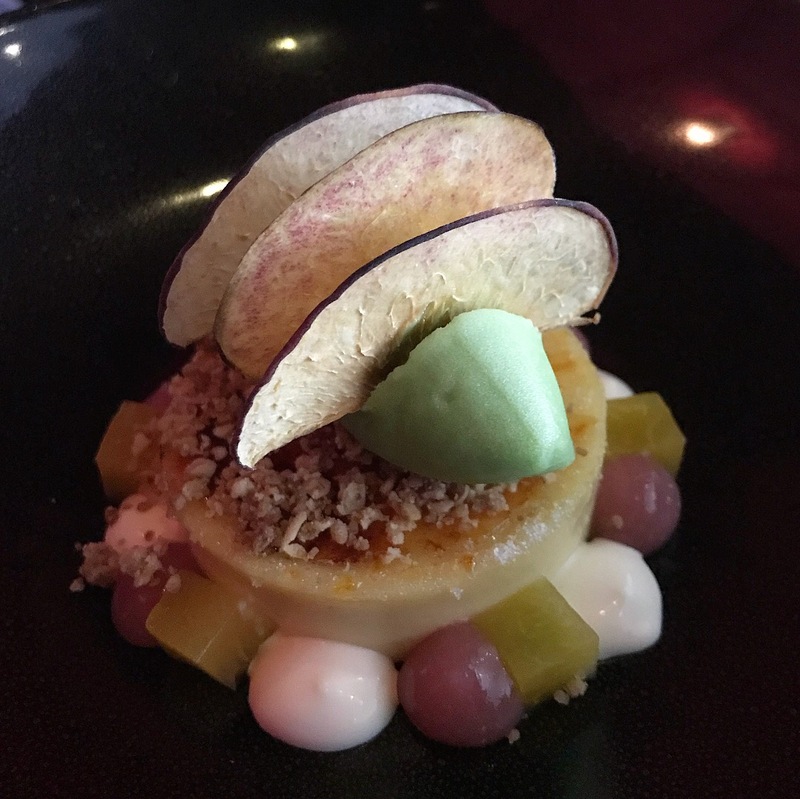 Our dessert choices, described as “lemon, cheesecake, curd and Yorkshire tea” and “peach, crème brûlée, crème fraiche and basil”, sparked our imagination and we were impressed by the flavours and presentation. 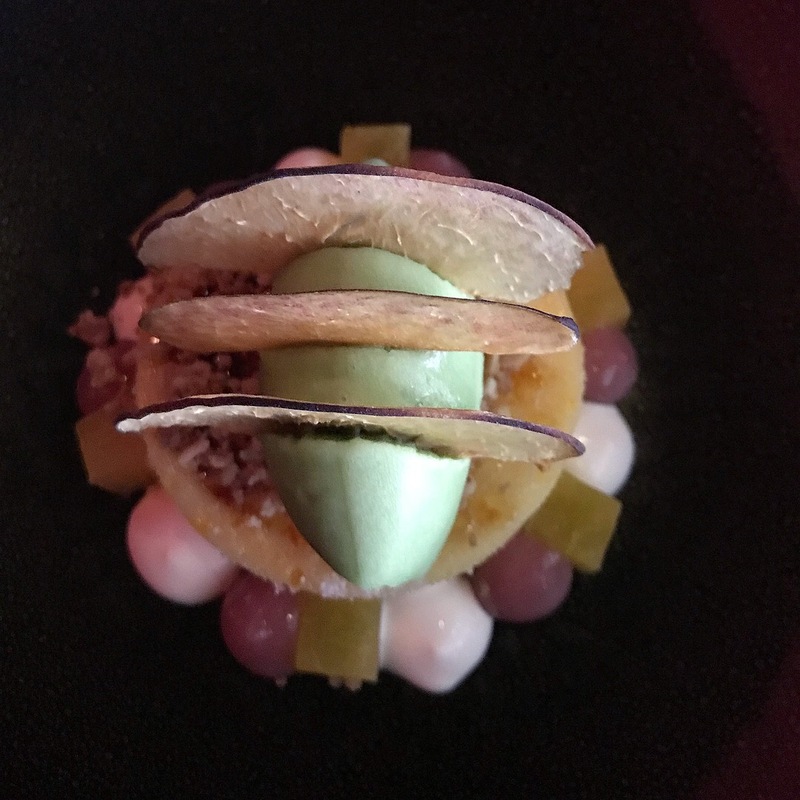 Both desserts were spectacular, inventive and deftly executed. 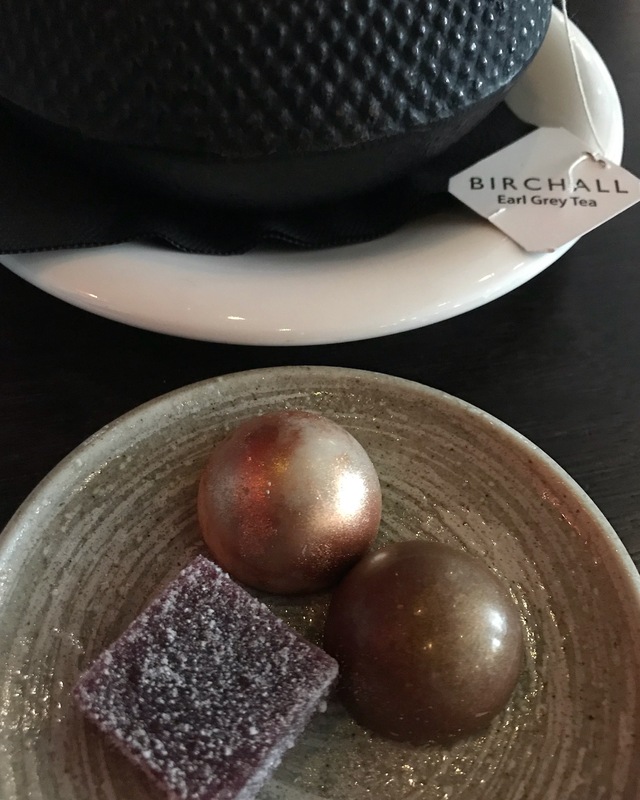 Our dinner culminated with excellent coffee, tea and petits fours – three tasty morsels of milk chocolate with apricot and honey, cherry jelly with vanilla sugar, and white chocolate with salted caramel and walnut. 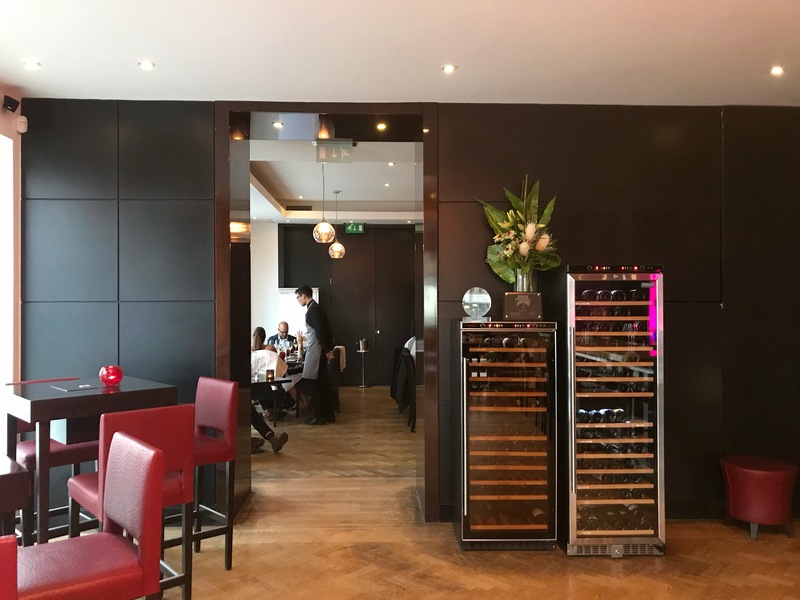 I was pleased to learn that the restaurant have plans for a refresh, making it a brighter, less heavy space as well as sprucing up the more tired parts. In my opinion, the decor has never been up to par with the superb gastronomic experience. 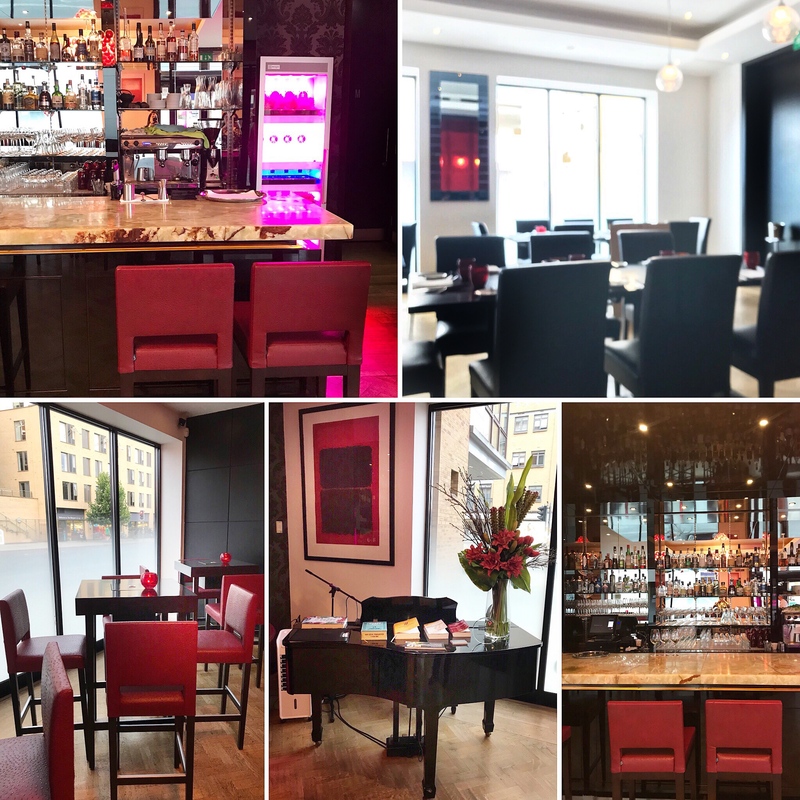 It feels as though the place was originally supposed to be a businessmen’s steakhouse, an upscale Chinese restaurant or an Italian chain but plans fell through. It’s a shame that the decor was never upgraded over the years. Of course there is much more to a restaurant than its decor. So many impeccably designed restaurants have a poor offering and are essentially style over substance. 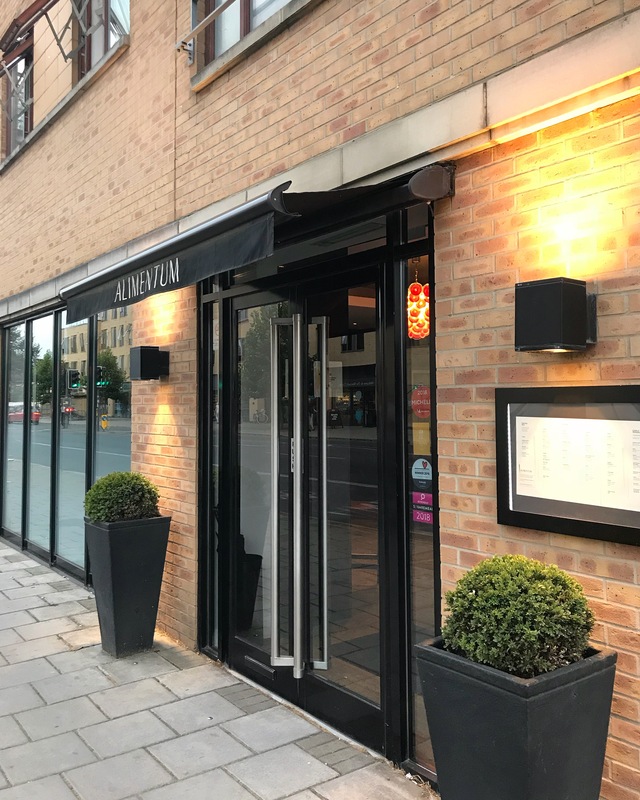 It’s a testament to Alimentum’s exceptional food and service that it continues to thrive, even without the Michelin star. This isn’t reflected in my photos (we arrived early) but the restaurant was full by the time we left. Admittedly, the location and parking situation aren’t ideal but all that is forgotten once the wonderful food arrives. 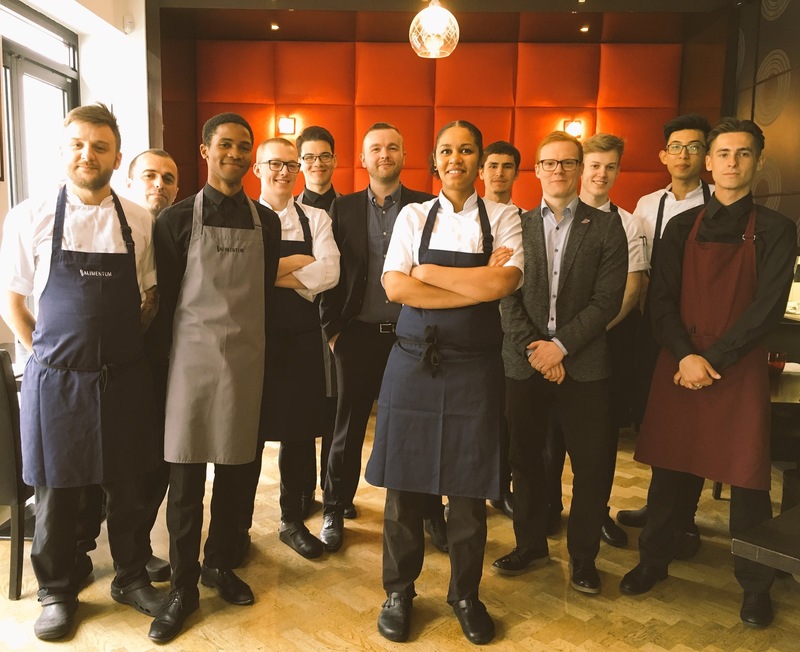 Head Chef Samira Effa is creating exciting new dishes that keep my interest piqued. With a friendly atmosphere, unpretentious service and talented sommeliers it’s worth visiting time and again. In an area of Cambridge filled with soulless chains we should treasure good independents like Alimentum. 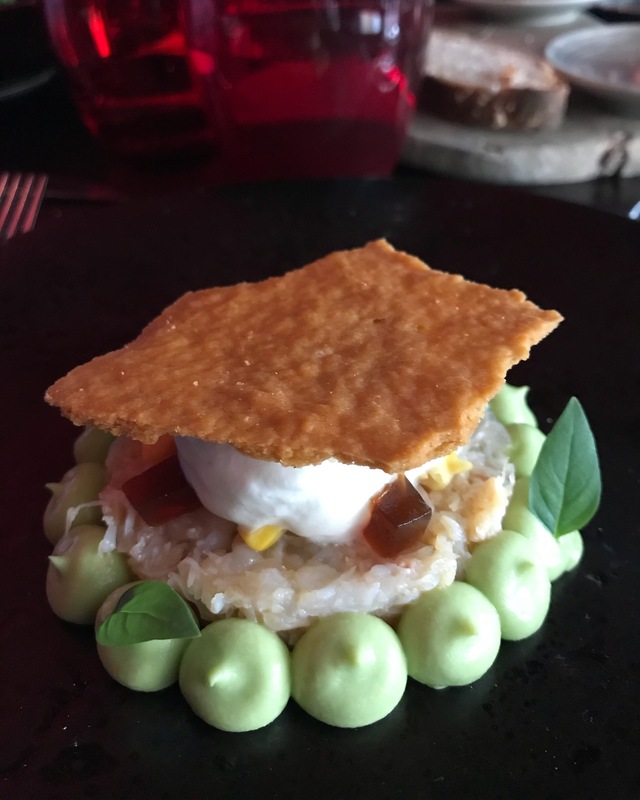 This entry was posted in Restaurants and tagged Alimentum, Cambridge, cucumber gazpacho, ham hock, Hannan Meats, John Moss, Maxwell Allwood, petits fours, Samira Effa, seaweed butter, sommelier, Thai tea by One Two Culinary Stew. Bookmark the permalink.